« The Meaning of “Existential”: An Empirical Study of the Pragmatic Use of Big Words in English Language Arts, aka ELA. Had to smile a bit here. There are some awful familiar memories you have recited here. I was a great little organizer when it came to those new school supplies and the like myself. It was fun giving everything its place and sharpening those pencils but like you, when it came to using them on that homework… ugh! When I think of the striped canvas chairs, I match them with the reflectors we used (after smearing baby oil) all over our faces. I am now supporting my dermatologist. And, you know, from reading your “about” I believe we both succeeded without doing every drop of our homework. 🙂 plastic or wood… doesn’t matter too much, the adirondack chairs are perfect to chill out and enjoy life as it comes. I need a couple of them on the terrace 😉 no more homework! 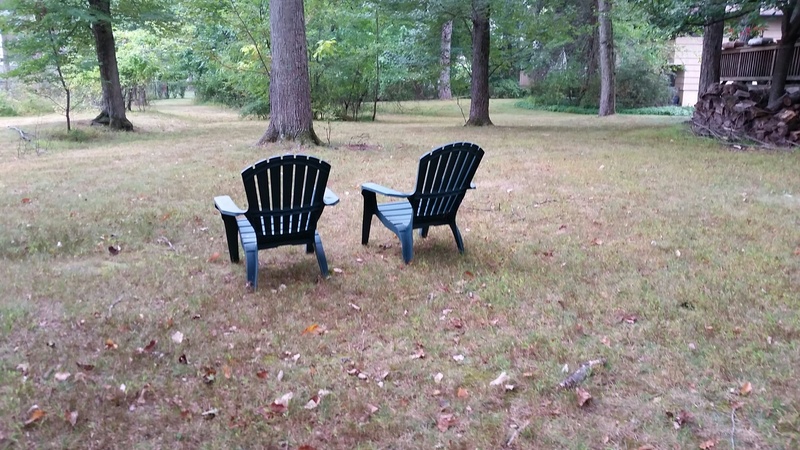 The adirondack chairs in your photo look like they would be comfortable for camping.